When I arrived back at school, I realized how little I had in my pantry or fridge in terms of provisions for the week. I’ve made a goal with my mom to eat healthy (even better than normal) 🙂 for the next couple of weeks. I know it is a process, and I am really good about healthy eating, until you put something sweet in front of me. Then when you add the pressure of holidays, well, it’s an entirely new ball game. So, I made a trip to Trader Joe’s to fill up on some essentials. Let’s just say doing a grocery run right before the store closes isn’t the same as going towards the end of a farmer’s market. While I was able to get the basics (vegetables galore, milk, and all sorts of the best yogurt), all my to-go salads were gone and I ended up throwing this and that into my cart. Ever happen to you? Some pumpkin ravioli (which I will share on WIAW because it was DEVINE! 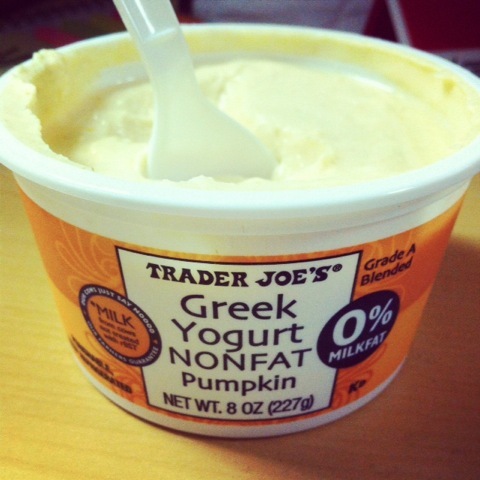 ), pumpkin butter, pumpkin yogurt…November has not ended, thus the pumpkin obsession continues! This entry was posted in School Life and tagged finals, pumpkin, school, trader joe's, vegetables by Kaitlin. Bookmark the permalink. 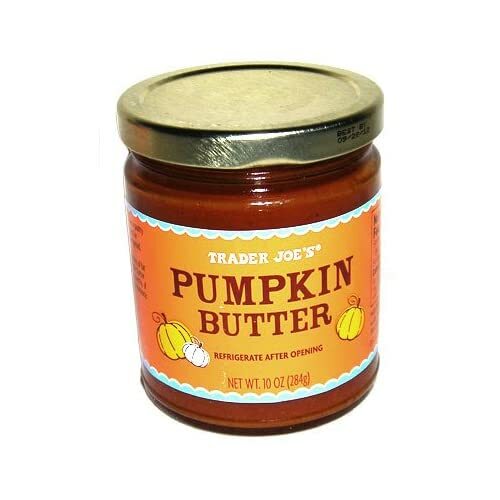 i still have yet to try that pumpkin butter. It’s a MUST! Quite delish on some toast, scone, or yogurt! I do that thing too where I’m like “Oh I don’t need lunch…” and then I end up eating wayyyy too many snacks. One of these days I’ll learn. I just try to stay on a regular schedule, eating 3 balanced meals a day. My weakness is the snacks. I don’t keep them in the house because I’ll eat the equivalent of a meal right before dinner or bed and that’s never good! 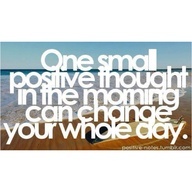 Too bad that is always my thought process. No, I’ll be good and eat close to nothing at lunch (I hate lunch anyways) and then snack and eat too much at dinner. Bad plan. I’m totally the same way, if I keep snacks in the house, I can’t seem to focus on anything because my head wanders back to the snacks and tricks my stomach into being hungry and tricks my mind into thinking I “need” them. False. So, the treats and snacks are usually a one off. Just because I know my self-control or rather lack thereof. 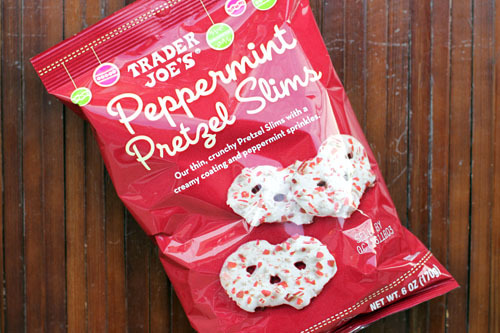 Those pretzel slims sound amazing!!! I went to Trader’s yesterday and am bummed I missed those. I am just trying to stay hydrated this week since I may have consumed too many alcoholic drinks in Hawaii 😉 and load up on fruits and veggies! But I still plan to bake cookies this week – Christmas cookies on December 1! They were quite delish. I may have consumed most of them, but then again, I don’t really think there were 6 servings in there. If there were, that was sort of a rip-off. When I went to Trader Joe’s last night, it was packed and there was not much in terms of the fresh selection. COOKIE TIME! So excited for the holidays!!! When I was in college, I used to get a big ol’ bag of bin candy to snack on during paper writing. So bad! And it usually just led to a stomach ache haha. My secret is to just not buy any snacks. The only snacks I have in my apartment are (healthy) tortilla chips and hummus! I will not let my pumpkin obsession die out until at least December, gotta stay strong! I do the same thing when I don’t eat a sufficient breakfast/lunch. Anything peanutty of chocolatey is fair game!